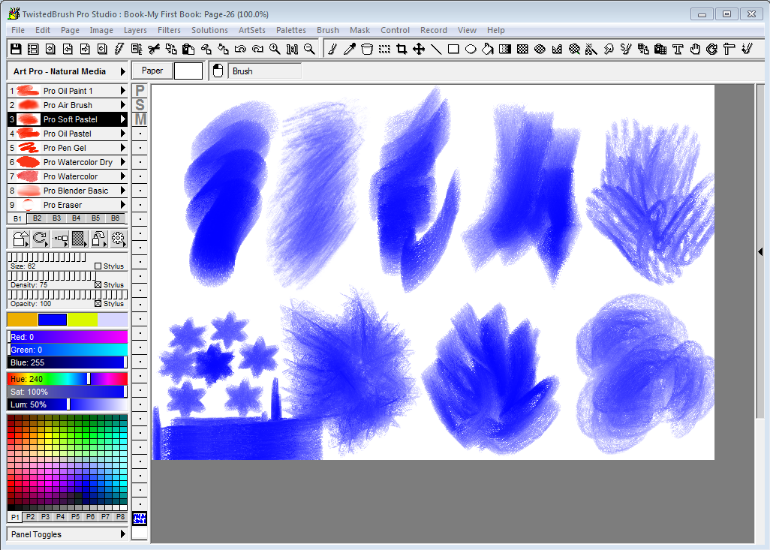 Changing the shape of your brush adds great flexibility to the effects you can achieve with just one brush. Here are some different strokes all from the Pro Soft Pastel brush. The different shapes were selected with the Brush Shape Modifier. See Topic on Brush Modifiers for additional details.